Learn to reflect the inner beauty of a fabric on a smaller scale. No drawing lines, no fussy cutting, no complicated piecing. This easy technique is a simple strip cutting and piecing technique that you apply to fabric. 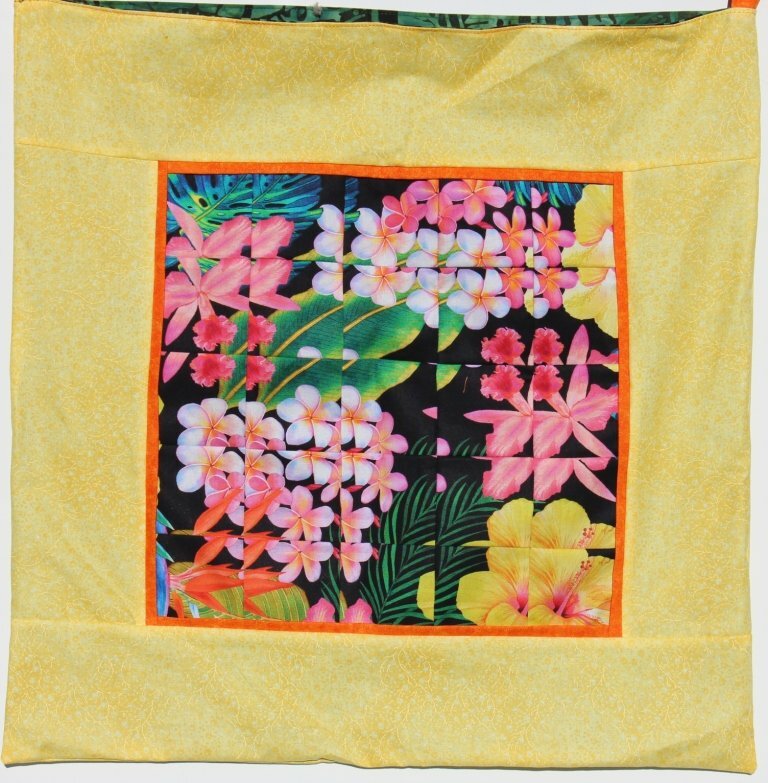 The Reflection technique is a variation of a kaleidoscope quilt because it uses four repeats of the fabric to create this beautiful effect. The reflection technique is a fabulous look which is much easier to achieve than it looks. Even confident beginner quilters can use this easy technique and make spectacular quilts. Finishing a mini quilt or tote back is achievable in a day (or less). Click on Supply List to get the supply list.